Not being new to the event business is a good thing. We began offering our facility for weddings and events in 2005 as Kovac’s Hall. We have enjoyed working with countless couples as well as family and corporate events over the last 10+ years. In 2013 we began construction of our new home using timberframing as the support structure. 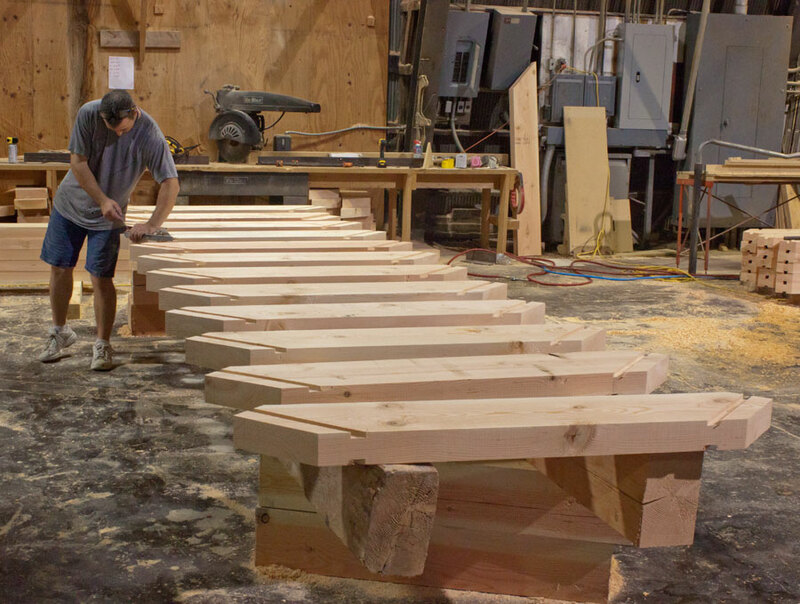 After 3 years living in a timberframe home we came to realize that there really is nothing quite like the charm & warm feeling of the soaring handcrafted wood beams. We decided to bring that same feeling to our event center with a complete remodel and new name utilizing the same handcrafted timberwork……….Welcome to Timber Creek. We reopened under the Timber Creek name in spring of 2018. . The main banquet hall features 4,800 square feet of open floor space with handcrafted timbers and a beautiful 20 foot vaulted timber frame ceiling running the full length of the grand hall. Integrated professional sound system and lighting throughout the facility makes it perfect for events of all types. Landscaped outdoor area for wedding ceremonies with wireless sound system as a compliment to your hired DJ. Bridal and groom suites with dressing areas. Bridal Suite is a full 2,100 sq/ft 3 bedroom home with overnight stay options. We are looking forward to sharing our new facility with you. Please check back often for new updates as we continue to improve this fantastic space. Married in 2002, we have truly been blessed in life. We have three beautiful children, Mason, Reaganne, and Landan. We have been fortunate to have successful careers as business owners since 1999. Stacy also still works as a registered nurse. Just as we reflect on our own blessings, we hope your event at Timber Creek is one of many wonderful memories as you begin your own new journey in life. As the oldest of our three children, Mason’s expertise at delegating his own chores to others or his ability to look busy doing absolutely nothing when given a new task around the house should make him a perfect fit as our future Chief Executive Officer. With a knack for saving her own money and spending her parents instead, we think Reaganne has a bright future in the family business as our future CFO. In searching for a picture with a serious look, well…..we just couldn’t find many. That same goofy smile and ability to think outside the box is going to make Landan a perfect fit as our future head of creative marketing.